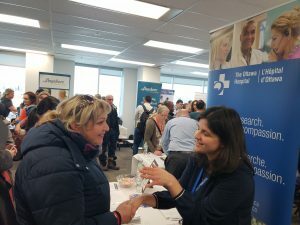 On February 26th, EARN in partnership with Agilec, one of EARN’s Service Provider partners, collaborated to host a Multi-Sector Job Fair for jobseekers with disabilities. Over 20 employers from various sectors participated. 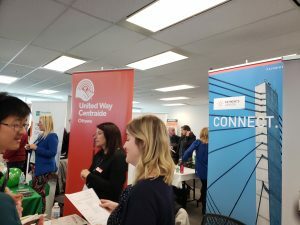 The event had a record count of more than 400 jobseekers who attended from 1:00pm to 4:00pm. All employers had line-ups of interested jobseekers ready to learn about available employment opportunities. The room was full with great conversations throughout the afternoon.